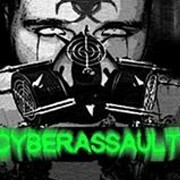 CyberASSAULT Features: -A post-apocalyptic, sci-fi theme including holographic simulator areas and tons of pop-geek-culture references. -Fast-paced melee, grenade or clip-dependent gun combat! -A great active Immortal staff that's always working!! -Bionic implants,player owned storage bays, houses, PK (limited) -Amazing progression system. Instant rewards upon progression. -item customization -player, mob, ongoing and imm-run quests. Holiday quests! -Custom event system. Save us from the rifts for uber rewards. -lots of custom skills and psionics. -an awesome fun non-stock world! Always growing. -a great newbie zone! For the advanced or newbie MUDder. -RP Friendly!! -hundreds of quests. -Custom scripted weapons! -custom gear shops -player museum of past legends of CyberASSAULT! -New players daily. -Quest shops -Vehicles with GPS (so you can save locations!) -Taxi cabs for you lazy morts! -Happy hours! Imm triggered and self started. d20MUD: Star Wars is a d20 & SAGA rules MUD reminiscent of the popular Star Wars RPGs, 'Knights of the Old Republic' by Bioware. Our codebase focuses on the intricacies of the d20 and SAGA systems, with an open progression system that allows for huge character statistic and function variety. With multi-classing, a respec system that allows you to redo your character build at any time, huge incentives for role players, and a pvp system wherein both winner and loser walk away with something to show for their battle, ours is a game that is simply without parallel in the MUD community. Whether you are a huge role player, a pvp enthusiast, or someone who thrives on perfecting your character build in a system with hundreds of options, we have something for every Star Wars MUD fan. The MUD is in continuing development, and possesses a small, but dedicated community. Stop by and make a character today! FluxWorld is a Futuristic Space Port and City set some 300+ years in the future on a far away planet. Expect some alien artifacts to be laying around (if not some aliens themselves). The FluxWorld SpacePort is just the beginning, and there are many areas just beyond that. Terrains include all the known types and weather. There are areas that are accessible by ships on the rivers, as well as access by air and space. The space station in orbit as well as our two moons and other planets are some examples. We have player and creature kill, bots that just converse, wearable clothing, mining, crafting, repairs to devices on the electrical grid and more. There are puzzle areas, Quests, Rune Gathering, and some special RP areas. The higher level social aspect involves the players directing what happens to some extent. Imperium is a game of intergalactic exploration, warfare, and economics. Imperium has no set goal, and fairly flexible rules about what you can do, thus, while a single player could run their own game just for the fun of exploration, they would be missing out on most of the aspects of the game with no one to compete against. The general layout of the Imperium "universe" is a rectangular array of "galactic" sectors. Each galactic sector contains a 10x10 array of "sub" sectors. A galactic sector can be "normal", a black hole, or a supernova. A supernova will immediately destroy anything that moves into it. A black hole may do this, but you will have to find out for yourself. Within a galactic sector are found planets and stars. Moving a ship through a star will also destroy it. The universe is "flat", that is, the edges do not wrap around and you can not move past the edges. In order to try and maintain some degree of realism for the amount of time it takes to accomplish certain things in the "real" world, and to prevent an experienced player from being able to attack another player all day, Imperium has several types of "counters". Each player has a "BTU"(Bureaucracy Time Unit) counter of their own, which is replenished at the same rate as every other player. This assures that you can only execute certain commands a certain number of times in a given period of time, and allows more powerful commands to be weighted against commands that do little or nothing. Planets also have their own BTU counters, and certain other commands (such as load, unload, etc.) require a certain amount of both player BTU's and planetary BTU's (PBTUs). These help to assure that one particular planet does not do more than would really be possible in a given period of time. 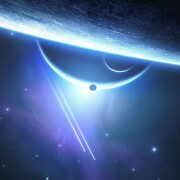 Planets can only have half the BTUs that a player may have. Imperium has been in development since 1994 off and on, first developed for the Amiga. Designed for the systems of the 90's, it is very efficient and can easily support dozens of players at the same time with almost no system load. The Imperium core game is completely open source/GPL'd and can be found on GitHub. The clients/frontends have various other licenses but are still open source. 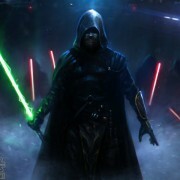 Legends of the Jedi is an RP enforced Star Wars mud based on a highly modified version of the SWR codebase. Lotj has been around since 1999 and has dominated mudstats.com as the #1 ranked Star Wars mud for at least the last several years. Lotj is the ultimate, text based, sand box style environment for Star Wars and Sci-Fi fans alike. We support a wide variety of classes. Whether you want to be a cutthroat businessman who peddles stolen merchandise on the black market as a smuggler, or an upstanding engineer who enjoys crafting and experimenting with different components to make the best equipment and dominate the business arena. Want to be a soldier or a bounty hunter? Both of these classes are supported in the game and provide a variety of skills for those who want to serve their government honorably or chase down anyone with a price on their head, with little care as to why. Maybe you just want to be someone's bodyguard or an enforcer for someone's nefarious crime clan. The choice is yours. Pilots exist in a variety of functions. You can run cargo from planet to planet to turn a profit or lead an entire battle group of cruisers to wage war on an enemy clan. Some pilots even choose to be pirates and pry on weary travelers and cargo runners. Others might enjoy exploration and finding hidden sectors that contain mysterious planets or space stations that don't show up in the public database. Slicing and Espionage, two different classes, are both well versed in information gathering and spying. Whether it's planting mics on other players, tapping comm terminals to listen in on comlink traffic, or simply planting cameras around a planet and watching who comes and goes. All classes have a role and each race gets a different level bonus towards different classes, which creates a lot of diversity among characters for what skill combinations a particular character might have. Classes are fun, but player interaction is the real charm of Lotj. Socializing and role playing with other players is where the drama unfolds and is the life force that has kept the game thriving over the last 15 years. Every class benefits from knowing someone with a different skill set, which encourages interaction and teamwork. Soldiers need blasters and engineers need someone to protect them. Information is a currency of its own and spies have it in ample supply, which they can trade for credits or favors. If you're feeling adventurous, check us out. We also have an ongoing community project for developing a customized version of MUSHclient for Legends of the Jedi that includes chat mini windows, a built in star map that shows planet locations, and a room mapper to make sure you always know where you are going! Mass Effect: Alpha & Omega is a roleplaying game set in the Mass Effect universe after the end of the Reaper War. The war ended when Commander Shepard gave her life to destroy all non-organic life in the galaxy, including the Reapers, the Geth, and all AIs. Now, people of all species and homeworlds are left to pick up the pieces. Many have made their way to the lawless edge of the Galaxy: Omega. Here, criminals, terrorists, and malcontents make their home. Added to that are thousands of refugees fleeing the remains of their Reaper-destroyed homeworlds. Here, the members of the growing Alpha Phoenix mercenary and are scrambling to make a name for themselves in what's left of the universe. Here, they're finding themselves tossed into fights and mysteries bigger than anything they thought they signed up for. We are a code-light, RP-heavy game. We have no coded space system, combat system, etc. We do have have lots of excellent story drive by both staff and player-run plots and an active, friendly community. We'd love to have you join us! The world was a peaceful place until the blood rain fell. Almost all normal people died out, creating mutated humans and animals. You have been chosen to recover the shards to remove the blood rain curse. The world is depending on you! Welcome to NewHopeMUSH, a Star Trek MUSH set in the Delta Quadrant. Currently in live development, need players to help test the game. It is fifty years after the U.S.S. Voyager made it back. During the plot of Star Trek: Voyager, we see a crew trying to get home. Now, a new mission has been presented to select personnel. The mission? Work with the Federation, the Klingon Empire, and the Romulan Star Empire by living on a new deep space station and represent the Alpha Quadrant in the Delta Quadrant. Create multiple races, from both the Alpha and Delta quadrants. Join multiple factions, including the Federation, Romulan Star Empire, and Klingon Empire. +map command displays where exactly you are, by deck.